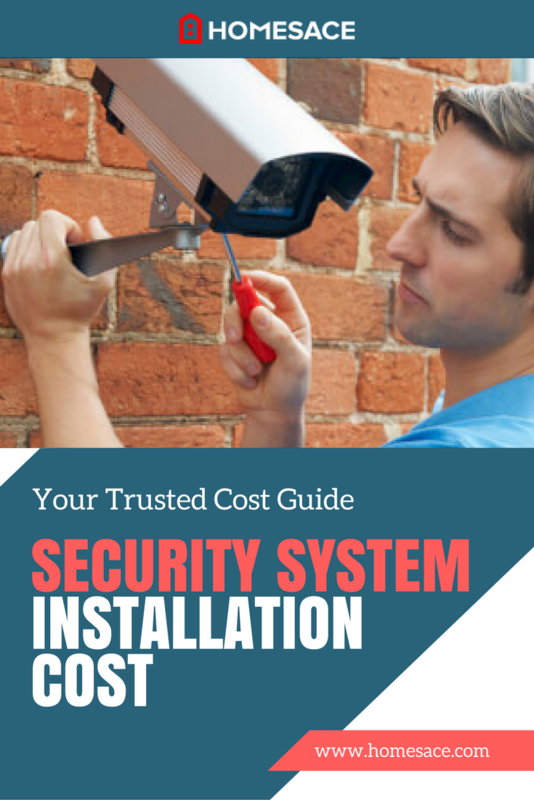 How Much Does Security System Installation Cost? There are thousands of security systems on the market, and while few of them are identical. After all, when you're aiming for security system installation, flexibility is the only way to finding the system that meets your specific, unique requirements. Unfortunately, for many people, choosing a new home security system can be a complex and daunting task. Making that all-important decision on which system will guard and protect everything you value ( including your loved ones ) should leave you with a sense of security...not confuse you. Once you've picked a security system, you should have peace of mind...not uncertainty. Well, given these statistics from the FBI, it only makes sense that you take a proactive approach to your home security, and understanding what your exact needs are is the key to calculating your budget. Several factors have to be taken into account, however, before you will arrive at the final cost to install a security system. Today's home security installations offer technologies which not only provides security, but helps you manage aspects of your home such as energy usage, ambiance, and comfort. Home automation is capable of actions such as opening and closing your blinds, turning lights on, regulating room temperature, locking or unlocking doors remotely, and so much more. Knowing exactly what is possible will help you make an informed choice. DIY can be great when it’s applied to kids crafts or small scale projects or hobbies, but are you ready to gamble on the daily security and safety of you and your family by doing your own security system installation? How Much Will It Cost To Install a Security System in My Home? Prices will vary depending on the extent of your installation alongside other factors such as regional pricing trends. Homeowners can expect to pay as little as $100 to install new security. This will cover very basic security upgrades like changing door locks, adding new security latches and more. However, you should expect to spend anywhere between $350 and $900 for a home of 1,000 sq ft or so. This does not include the monthly fees that security companies charge, which amounts to roughly $500 annually. If you're serious about upgrading your home security for an average 2,200 sq ft property, be prepared to pay in the region of about $1,200 - $1,750. Contracts with security companies do vary considerably. While some contracts require a specific length of time before you can opt out, others are more forgiving. Owning your system outright is an important consideration to make, so it is prudent to shop around and see which companies offer the most flexible services with the least amount of hassle. Most security systems also come with a three-month warranty. If the system fails after 90 days, you are responsible for fixing it. If you want long-term coverage, you may choose to pay about $120 - $160 for an extended cover which should cover service calls and replacement parts. Also, keep in mind the annual monitoring fee of $500. Remember, every installation is different, and you need to ensure your system is in perfect working order from the start. A qualified professional will come in, install the system, the sensors, and get out. Any troubleshooting or other minor issues can be dealt with there and then. Compare estimate from experts in your area and check their references before you commence with any installation. Would you like to get in touch with a professional in your locale for a FREE estimate on the cost to install a security system? Get you FREE estimate by entering your ZIP in the form provided. There's absolutely zero obligations. The cost to install a security system will depend on your own personal requirement. Reach out to professionals near you for a more accurate estimate of what you will be paying.